Ever wondered if you could create a custom login page in WordPress? Creating a custom login page helps you display a consistent brand to your users, which gives your site a more professional appearance. In this article, we’ll show you how to create a custom login page in WordPress. If you’re running a community-powered website such as a forum, membership site, niche social network, or any other website that requires users to register an account and log in, then you’ll need to create a custom login page. The default WordPress login page looks generic and boring. With a custom login page, you can personalize all the elements on the page around the form. If you have a custom login page, then you can hide the default login page if you want. This can reduce login spam and keep your WordPress site secure. In the official WordPress plugin repository, you can find dozens of different plugins that help you easily build a custom login page. In this article, we’ll look at 2 different plugins: WPForms and Theme My Login. 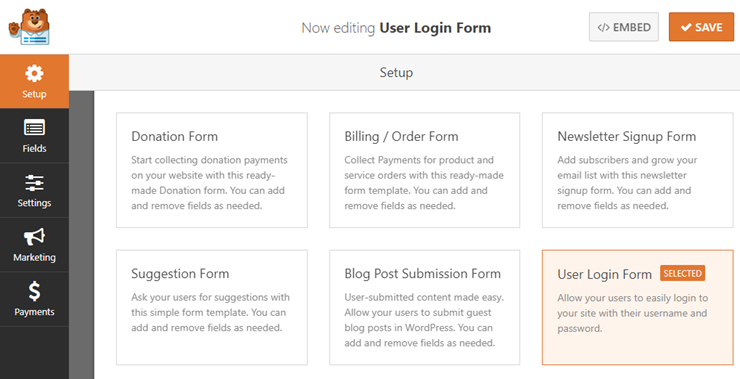 Choose WPForms if you need a full-featured WordPress form plugin that helps you build any kinds of online forms with ease, including registration forms, payment forms, contact forms, etc. Customize your login form the way you want without any restrictions. Publish your login form on any posts or pages. Embed your login form in sidebar or even in widgetized footer. Choose Theme My Login if you want to create a simple login page with ease. No configuration required for building a custom login page. Automatically hides the default login page and redirect to the newly created login page. Add a login page link in your sidebar with a custom login widget. The downside is that, unlike WPForms, Theme My Login doesn’t allow you to embed your login form anywhere on your site, and will exclusively show up on your login page. Because it’s not a fully-featured form plugin like WPForms, the ability to customize your login form is limited. Let’s take a look at how to create a login page with WPForms. 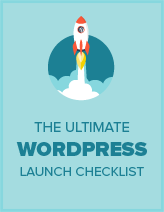 The first thing you need to do is install and activate the WPForms plugin. Make sure to verify your license key by navigating to WPForms » Settings. You can obtain the license key from your account on the WPForms website. To be able to create a custom login page with WPForms, you’ll have to install the User Registration addon by going to WPForms » Addons. Click Install Addon next to User Registration Addon and then click Activate. Once the addon is activated, you can go ahead and create a user login form with WPForms. With WPForms’ powerful drag and drop builder, you can build a login form in just a few minutes, not hours, without writing a single line of code. To create a login form, visit WPForms » Add New. 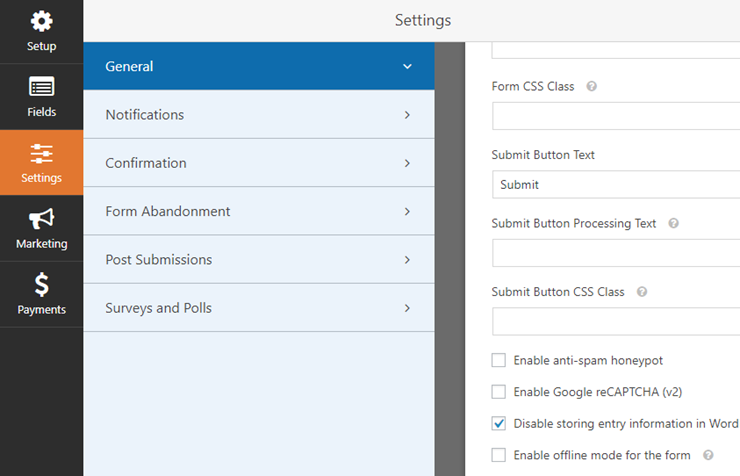 In the form setup page, you’ll need to choose the User Login Form template to create a login form. You’ll now be directed to the form builder where you can add, customize, and remove login form fields. By default, the login form template adds the following form fields: Username and Password. You can customize any field by clicking on it in the page builder. Then, you can make the desired customizations in the left-hand panel. To configure general settings, you can go to Settings » General. On this page, you can customize the form name, description, submit button text, etc. You don’t have to do anything in the Notifications tab for your custom login form. By default, notifications are turned off, so you won’t receive an email whenever someone logs into your site. When a user logs in through your custom login form, they’ll land on your website’s homepage. You can change the redirect URL, if you want, in the Confirmation Redirect URL field. 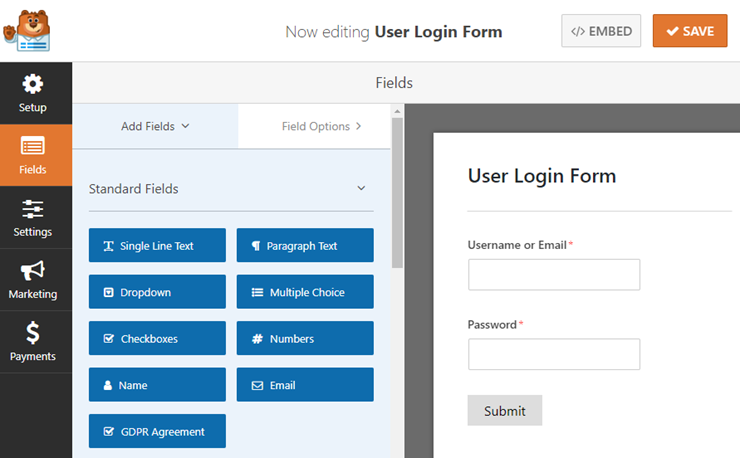 One of the main benefits of using WPForms for creating a login form is that it lets you embed your form anywhere on your site, including posts, pages, sidebar widgets, or widgetized footer areas. Let’s take a look at how to publish your form in posts or pages. Create a new post or page in WordPress and then click on the Add Form button found just above your text editor. Next, select your login form in the modal popup and click Add Form. After adding the form, you can publish your post / page. You can also add the login form to your sidebar widget as follows. Head over to Appearance » Widgets and add the WPForms widget to your sidebar. Select your custom login form in the widget’s settings and click on the Save button to save changes. The Theme My Login plugin makes it super easy to publish a custom login form on your WordPress site. To create a simple login page, all you have to do is install and activate the Theme My Login plugin. The plugin works out of the box without any further configuration. 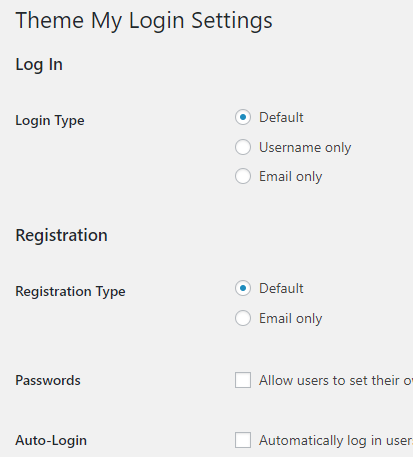 However, if you need to customize the plugin settings, you can click the Theme My Login menu in your WordPress dashboard. You can then change the login and registration types. You can also adjust the URL slugs for the login, logout, registration, lost password, and reset password pages. On the contrary, you’d like to check out this guide on how to choose a secure password. We hope this guide helped you create a custom login page in WordPress. If you enjoyed this article, you may also want to read our article on the best contact form plugins for WordPress.